(formerly CS4HS) program has been running in Australia and New Zealand since 2011, and in that time has trained over 12,000 teachers. The program aims to equip teachers through practical professional development workshops, giving them the skills and resources they need to confidently teach computational thinking and computer science concepts in new and exciting ways. Roxy Clark is one of many educators who attended the 2017 CS4HS workshop at Herdmans Cove Primary School in Tasmania. At the workshop, teachers like Roxy worked together to discuss how to build Digital Technologies into their classroom projects using the BBC Microbit, a handheld, easily programmable computer. The workshop allowed teachers to incorporate specific curriculum outcomes into the classroom, using the BBC Microbit to support the cross discipline activities they are doing with their students. After a fun and exciting workshop, Roxy had the confidence to directly implement the Digital Technologies curriculum into an existing class project, engaging with her Year 2 and 3 students in a refreshing and interactive program. 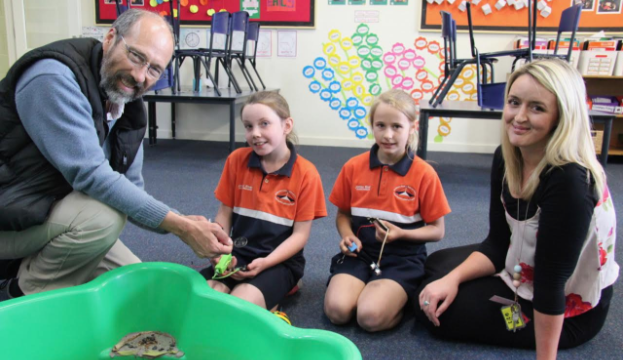 Peter Lelong from TASITE has been organising and running workshops like these in Tasmania for over 4 years, dedicated to equipping educators with practical skills through hands-on professional development events. Peter has been a CS Educator Grant recipient for the past 3 years, and is committed to growing the CS education community in Tasmania by supporting professional learning for teachers in Digital Technologies. We’re excited to announce the following 2018 CS Educator Grants Awardees, which will continue to motivate and inspire educators like Roxy and Peter around Australia and New Zealand. Industry has long been talking about the need for STEM skills in our future workforce, and increasingly we’re seeing that a core competency in computational thinking is critical for the jobs of the future. To equip teachers with the skills needed to both inspire and prepare students for this future we are delighted to announce our 2018 Google Educator Professional Development Grant recipients. Google’s Educator PD Grants (formerly CS4HS) program has been running in Australia and New Zealand since 2011, and in that time has trained over 12,000 teachers.